If you are a follower of Historical Tapestry then you probably saw my book release post for the Sharp Hook of Love (see HERE) as well as my review of the book (see HERE). Hint: I loved it! Well now I am honored to have the author of The Sharp Hook of Love, Sherry Jones, on the blog with a wonderful guest post about why she loves the 12th Century. So please enjoy the post and continue below for more information about this wonderful book, its author and the rest of the book blog tour! Love, not gravity, makes the world go ‘round, goes the song. What if that were true? If the dawning of day and the fall of night, if the changing of the seasons, if the planet’s very spinning depended on love, we’d all be performing acts of kindness for one another all the time. We’d be loving it up. I love love. At its best, it ennobles us, inspires us to be our very best selves, to give of ourselves to others. At its worst, it blinds us to others’ failings—but that only harms us if we’ve forgotten that, to love another well, we must love ourselves first. Love is patient, as the Scriptures say; love is kind. Yes. But love is also messy, bewildering, frustrating, exalting, exciting, frightening, and capricious. Love holds a mirror to those in its thrall, showing us not only the other but our naked selves. And the best writing about love holds a mirror up to this complex emotion, revealing it to us in all its multi-faceted glory and inspiring us to think about love, to feel it, and, perhaps most important, to enact it in our lives. Self-love wasn’t something they talked about in the early-to-high Middle Ages, or, if they did, they called it “vanity,” or “pride”: one of the Church’s so-called deadly sins. That’s the world in which the 12th-century Parisian scholar Heloise lived, one which cherished community over individuality, sacrifice over personal gain, giving over receiving. 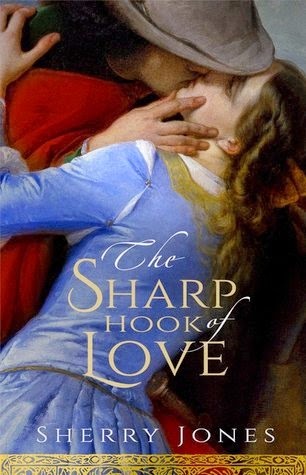 Fortunately, for Heloise and for me, the author telling her tale in my book THE SHARP HOOK OF LOVE, another dynamic had begun to shape the culture, as well: the awakening of an awareness of the self, making this era one of the most exciting times to be alive in western Europe. The 12th century heralded the true beginning of the Renaissance Era, or at least as a prelude that set the stage for the rebirth of arts, culture and knowledge so prevalent before the fall of the Roman Empire. A new awareness of the individual as opposed to the collective began to emerge, as well, including questioning of Church doctrines at the highest level. A number of events, beginning around 1070, led to this reawakening. The marriage of the Frankish King Philip to Bertrade de Montfort, both already married to others, captured the public’s imagination. Their passionate love for each other caused them to defy the Church’s condemnations and excommunications—and transformed marriage from a mere business arrangement, easily broken, to an everlasting affair of the heart. This scandalous, exciting union—Philip’s repudiated queen, Bertha, left in shame for the convent—stimulated at least one copycat marriage. Around 1115, the already-married Count William of Poitiers, also the Duke of Aquitaine, “abducted” the wife of one of his vassals, a viscountess named Dangerose, and brought her to Poitou to live in the luxury tower he’d built there. They, too, suffered the censure of the Church, but neither seemed to care. 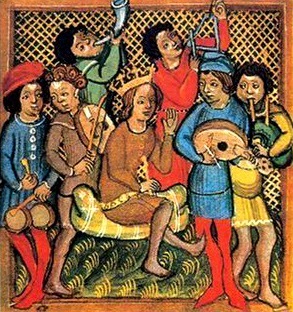 William, a famously seductive ladies’ man of great intellect and wit, wrote bawdy romantic songs, as well, starting the troubadour era from which springs the long tradition of courtly love. From this heady ferment of scholarly debate, rebellion, and passion sprang the love affair of the 21-year-old Heloise with her teacher, Pierre Abelard, the famously brilliant, and arrogant, philosopher and poet whose beautiful love songs made women swoon. Their society forbade their love. 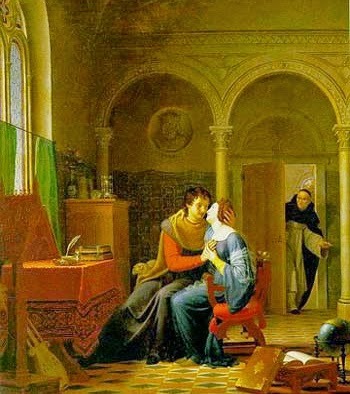 Abelard, as headmaster of the Notre Dame Cloister school and a Church canon, was supposed to be chaste, and Heloise was a single young woman living under the protection of her uncle, a Notre Dame subdeacon. Yet the couple defied these strictures, risking everything to be together, and ultimately losing all except the love itself. Caught by Heloise’s uncle and torn asunder by his cruel act of revenge, these lovers live on today in our books, movies, art, poems, plays, and songs. We love the story not only because of the shocking nature of Uncle Fulbert’s revenge, but also because their courage and daring for the sake of love inspire us all. In today’s throwaway society, it’s important to be reminded that love, even when beset by so many obstacles and sorrows, can indeed last a lifetime. In writing about the 12th century, I felt excited and privileged to portray this exciting era. My next book will be much more contemporary, but I know I will return again and again to the 12th Century Renaissance, a time as thrilling as our own. 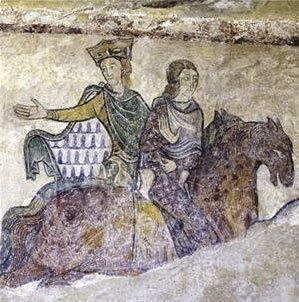 William of Aquitaine, his granddaughter, Eleanor; Philip and Bertrade; the troubadours; Blanche de Castille; the Crusades: If only time travel had been invented, I’d go to 12th-century France in a heartbeat. Instead, I get to write about it, which may be even better. The question for me is, which story should I tell next? For more information please visit Sherry Jones’s website. 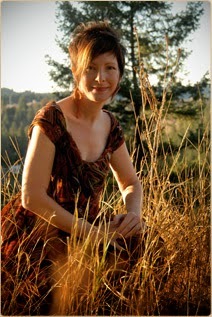 You can also find her on Facebook, Twitter, YouTube, and Goodreads. I can't wait to hear what you think, Mystica, if you get the chance to read it! Many years ago when I was an undergraduate History major, I was torn between being a Mediaevilist or a Classicist. The Classicist eventually won out; however, I still love their story and saw their tomb when I was in Paris (Pere LaChaise). The 12th Century Renaissance was such an important time. I am glad that You think so, too. How wonderful, Julia! I would LOVE to see the tomb! Maybe someday (sigh).